One of Mimi’s favorite pastimes is getting a breath of fresh air on our balcony. She puts her tiny head between the posts of the balcony and enjoys the spectacular view as much as we do! Recently, however, because our balcony gets quite a few gusts at this height, we have installed a wind barrier to protect our potted garden. Unfortunately, this barrier prohibits Mimi’s 20cm-high view of our 25th-story vista. 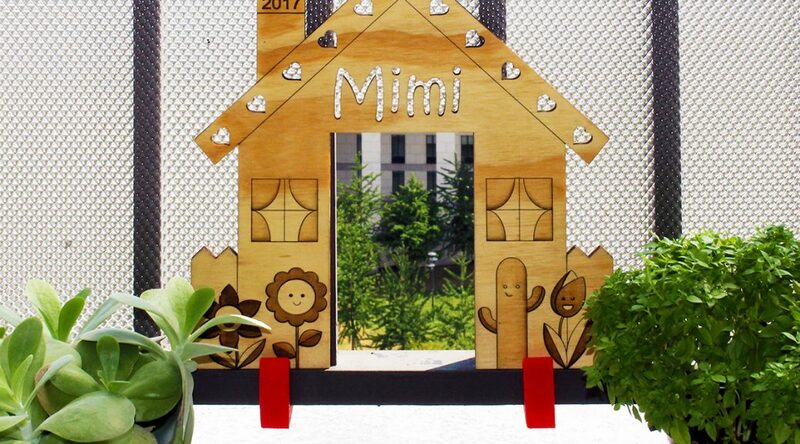 Here’s our design solution: a tiny laser-cut door to give Mimi an unobstructed view!